Volume 3 of the award-winning music app is here! Create stunning jazz tracks to your own chords in minutes with SessionBand Jazz the world's only chord-based audio loop app. It's the ultimate jazz play along and the perfect tool for jazz songwriters – wherever you are and whatever your level of ability. Volume 3 includes 15 totally new and diverse jazz styles from slow Jazz Ballad, ECM, Swing Funk and Med Latin through Love Supreme & Bembe to Fast Latin and Swing. Swing Guide Tones and Swing Licks all the way to 7/4 and Fast Swing plus many more. 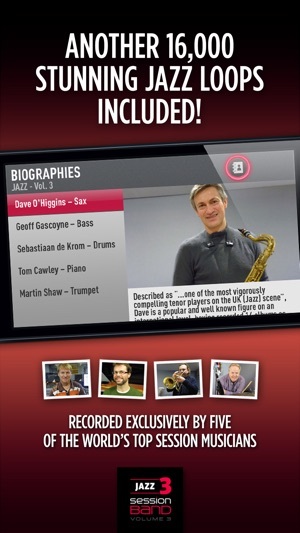 With over 16,000 all new, precision-cut, chord-based jazz loops recorded exclusively by 5 of the world's leading jazz musicians, Jazz - Volume 3 instantly converts the chords you select into great-sounding audio. 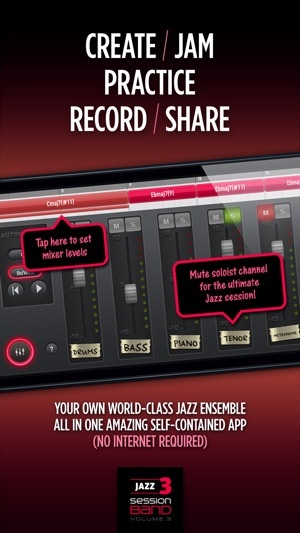 Note: We recommend using SessionBand Jazz with iPad 2, iPhone 4S or newer devices. 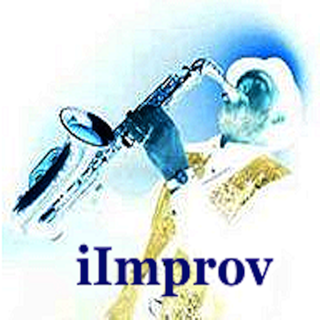 * 15 brand new jazz styles and tempos: Jazz Ballad; Swing Funk; Slow ECM; Slow 3 / 4; Love Supreme; Medium Latin; Swing Jazz Licks; Swing Guide Tones; Bembe; Fast ECM; Fast Latin; Safari; Trad Jazz; 7/4 Even 8ths and Fast Swing. * NEW. All 15 jazz styles include 15 drum fills/alternative drum patterns including notation! * Simple, intuitive interface allows easy chord selection and loop manipulation. * Chord preview function lets you audition the chord of the loop to be inserted. So good, to much crashes. I purchased volumes 1,2 and 3 thinking that this app would be an improvement over the iReal Pro app in terms of play along sound quality. As far as sound goes, this app is excellent, however, it's missing some very fundamental cords and can't perform slash-cords either. This app has great potential but needs some updates. 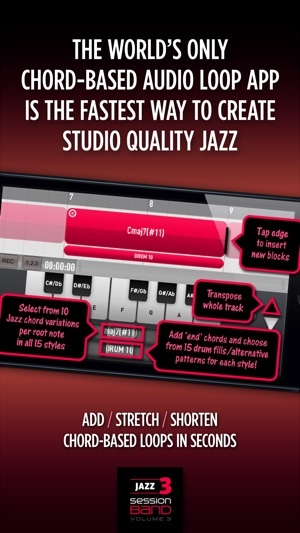 For musicians who love jazz, this is a great app with lots of customizable loops you can play along with. You can also customize many elements like drums, bass, piano, trumpet, and beats per minute to create anything you can imagine. 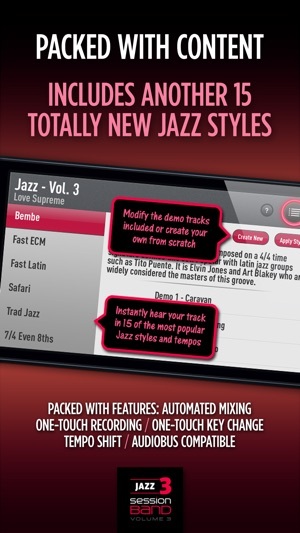 It sounds beautiful, and should be part of every jazz musician's app collection.